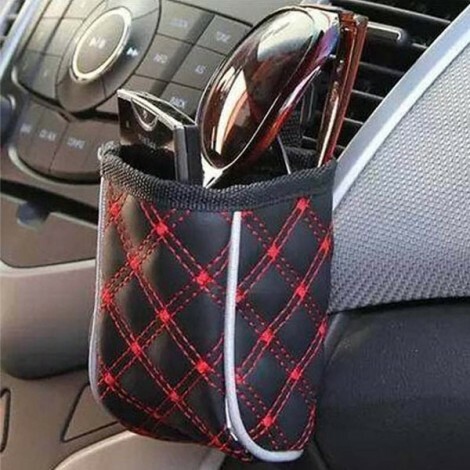 Find a place for your phone and other little gadgets in your car by using our Car Leather Upholstery Car Outlet Sundries Bag Cell Phone Pocket here! The storage bag makes luxurious and brilliant atmosphere of car interior with high quality non-woven fabric. It can keep small things, such as cigarettes, mobile phone or card in order. Easy to be attached on car outlet or other places you want, our storage bag must be a necessity for someone who wants to create a clean and tidy car environment!